ANM | Advanced Network Management Inc. The Intersection of Excellence, Innovation, and Solutions. The ANM commitment to excellence in Engineering and Customer Service yields strong, long-term relationships. At ANM, Innovation in Service Delivery ensures Successful Projects are delivered on-time, every time. Learn how ANM achieves 95% Customer Satisfaction. ANM professionals let business needs drive custom solutions that are cost-effective, proactive, and growth-focused. Learn how ANM Solutions build stronger businesses. 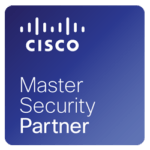 Advanced Network Management (ANM) becomes 41st Solution Provider in US to achieve Cisco Master Security Specialization. ANM designs, implements, and supports IT solutions from the leading providers of technology, including Cisco, EMC, Microsoft, NetApp, VMware, Splunk, and F5. By focusing on these industry leaders and technology trendsetters, we are able to deliver a high level of expertise that is unparalleled in the region. We have dedicated professionals working with this list of manufacturers to ensure that our engineers are experts in the products we sell. ANM enjoys a high customer retention rate, as well as an excellent employee retention rate. With experienced technical leadership, solid financial management and community involvement, ANM has become a recognized leader in the Information Technology industry. Our expertise, combined with our demonstrated success in delivering integrated technology solutions, makes ANM a compelling choice for large and mid-size customers. ANM is headquartered in Albuquerque, NM and operates in Colorado, Texas and New Mexico. In addition to Albuquerque, ANM has offices in Denver (CO), Colorado Springs (CO) and Las Cruces (NM). Please feel free to contact us at sales@anm.com. © 2015 - 2019 Advanced Network Management, Inc.